This year, 20 states are increasing their minimum wage, but Utah’s will stay the same. Despite the fact that it’s not changing, as a small business owner, you need to know the current minimum wage regulations to make sure you’re compliant. Not only that, but considering the growing movement for minimum wage increases nationwide, it’s critical to stay on top of the latest developments so you can plan accordingly. To make sure you’re in the know, here’s a rundown of need-to-know details on the minimum wage in the Beehive State. The minimum wage in Utah is $7.25, which is the same as the federal minimum wage. The state minimum wage last changed in 2008, when it was raised by $0.70 from $6.55 to $7.25. Tipped employees. Utah labor law allows employers to take a tip credit employers to take a tip credit for employees who make more than $30 per month in tips. Employers can pay a lower minimum cash wage of $2.13 per hour, and up to $5.12 in tips earned per hour can be deducted from employee wages as a “tip credit” for employers. With the maximum tip credit taken, these employees must be paid a cash wage of at least $2.13 per hour, so their total compensation is at least $7.25 per hour. Minors. For employees under the age of 20, Utah allows a training minimum wage of $4.25 per hour for their first 90 days of employment. High school and college students who work part-time can be paid 85 percent of the minimum wage for up to 20 hours of work per week at certain employers (such as work-study programs at universities). There’s currently no plan to increase the minimum wage. However, considering Amazon is now a major employer in Salt Lake City, there may be mounting pressure for other employers to raise their minimum wage, since Amazon’s $15 per hour minimum wage went into effect on November 1, 2018. As of now, no. However, during last year’s legislative session, state lawmakers proposed a bill to increase the minimum wage to $12 per hour. 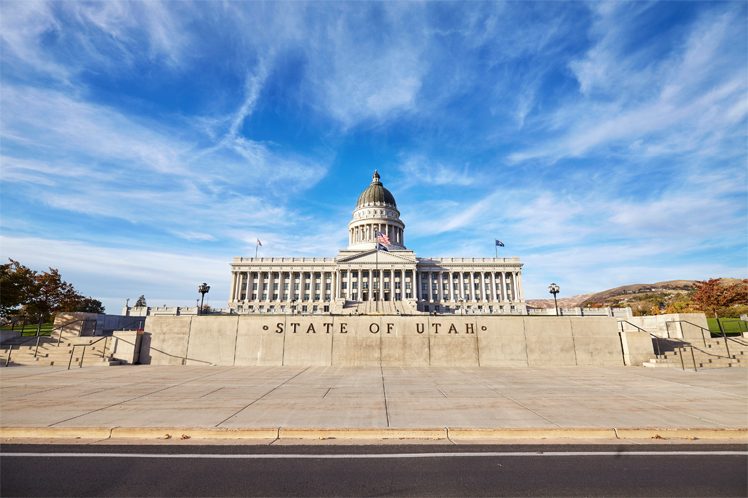 Considering the pressure of wage increases across the country, and the competition from Amazon, it’s possible a bill to raise the minimum wage in Utah will be proposed again in this year’s legislative session. Evaluate your staffing plan: Review your monthly sales and overhead costs to see if your staffing levels are reasonable. Determine if you can adjust your staffing plan to be more cost-effective. For example, if you have a seasonal business, it may make sense to hire contract employees during your busy season and operate with fewer full-time employees year-round. Hire the right people: The hiring process is time-consuming and expensive. On top of that, it’s a distraction from your day-to-day operations. You can avoid losing valuable time and money by finding the right employees the first time around. Once you find the right people, make retention a priority and take steps to prevent turnover. Upgrade your technology: Consider automating time-consuming tasks like payroll to save time and money. While these are helpful guidelines to follow, to make sure your business is prepared and stays in compliance, you should discuss Utah’s minimum wage laws with your accountant and lawyer.